Complete care for you, your guests and your property. 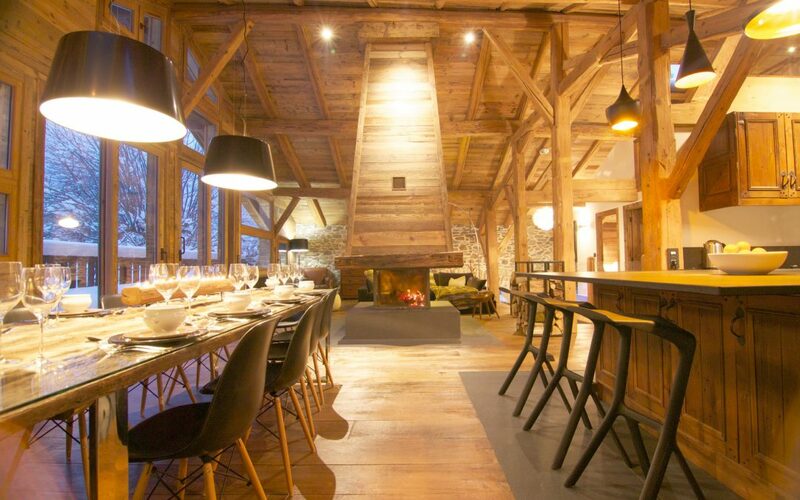 By combining our property management services with the concierge services that enhance your stay in a single service package, you can make the most of your time in the French Alps. As your single point of contact, we can ensure that all the practical needs of your property are taken care of, so everything is perfectly in place for you to enjoy yourself when you arrive. Even more than that, we have all the local knowledge and connections to help you get the most out of your stay. Our Gold, Silver and Bronze plans ensure there is always a solution that will work for you. Our plans are based on a system of time allocation and from the offset we will work with you to help establish the most cost effective solution for your requirements. How you use your property and the complexity of its requirements will determine which plan is appropriate for you. All our plans are designed to offer you the maximum flexibility and we are happy for you to tell us where and when you would like our time to be used. We will always offer the benefit of our experience to help ensure we provide a proactive approach to all your management needs. Most requirements can be serviced via our Gold, Silver or Bronze plans but if your property is larger or has complex requirements, or you are simply looking for a more bespoke management solution, we can tailor a Platinum property management package that is just right for you. Our Platinum plans offer owners requiring management time that typically exceeds our Gold plan a cost-effective solution. In our experience, a continuous service plan of this type works out to be preferable to simply paying for additional management time by the hour. The Platinum plan allows owners to agree a fixed monthly fee for services they require, thereby ensuring greater cost control over their home. Everybody’s needs are different. From a monthly inspection, to a fully comprehensive management solution, we advise you on which of our services best meet your requirements and provide a package that is perfect for you. Our non-exhaustive â€œa la carteâ€ menu allows you to pick and choose from a range of services to suit all needs and budgets. Flexible and easy to use, we cater for all requirements, from log delivery to organising special events; simply pick up the phone and we will make it happen for you. We can assist in the setting up your utility bills, choosing an internet provider, dealing with French authorities and taxes or corresponding in French for the purchase of your home from the very beginning. We are used to dealing with these processes, providers and much more so we can assist with any of your administrative needs. Our pro-active approach and firm belief in preventative maintenance will save you time and money. It gives you the peace of mind that your home is being properly cared for in your absence. Prevention is better than a cure, which is why we offer a planned preventative maintenance service to all our clients. Scheduled visits to your property at regular intervals will make sure that everything is working efficiently. We check for the usual signs of wear and tear that may lead to greater expense or inconvenient disruption in the future. Maintaining your property this way is more cost-effective over time as it avoids the needs for expensive emergency call outs, or the increased cost incurred if damage is left to get worse. From tightening up loose cupboards to an entire redecoration, our maintenance team are on hand to keep your property in excellent condition. Our skilled workforce and reliable professionals can fulfil all your property maintenance needs to an incredibly high standard. The seasonal extremes of life in the mountains can sometimes be detrimental to your property. In cases of dramatic rain, wind, cold or snow, we are on hand to keep a close eye on your home. We are able increase the frequency of visits during risky periods (extreme cold spells or violent storms) to ensure everything remains in working order. It is not uncommon for our clients to keep an eye on the weather in the valley in hope of spotting a window of opportunity for an impromptu visit. Naturally this may lead to some concern if the conditions are particularly extreme, so we are here to let you know that everything is under control. Having a secured property is crucial. We can be on-call for security calls from your house alarms to help coordinate security visits or emergency service response. We find this is an essential backup for owners who are often in a different country and therefore not able to respond in person. Regular property checks are essential, both from a practical and insurance perspective. Most insurance policies stipulate that properties must not remain unoccupied for extended periods of time. We will ensure regular visits are made to your property, checking all is in order and providing you with complete peace of mind. Our skilled workforce of reliable professionals is here to meet all of your plumbing and electrical requirements. From a leaky tap to a blown fuse, our local, fully insured tradesmen can assist with all interventions, large or small. This takes the complication out of finding, booking and carrying out essential fixes. Our experienced team of housekeepers are available to provide a bespoke service tailored to your needs. We go the extra mile that offers so much more than just a standard cleaning service. Make the most of your days here and let us deal with your laundry and linen requirements. Our services can be tailored to accommodate ownerâ€™s linen for their own stays or a hired solution for guest stays and rentals. This is just another one of the daily chores that you can delegate to get the most out of your time away. Never turn up to an empty fridge again. From a small shop to provide bare-essentials to a fridge filled to the brim with Savoyard treats, we can keep you well stocked for your stay in the mountains. Not to mention the fact that we can ensure your favourite selection of beverages are available for you to enjoy the second you step through the door. Relaxing in front of an open fire or a log burning stove is the perfect way to unwind. We monitor fuel and wood supplies through our regular checks and re-order on your approval; all at the most attractive prices the region has on offer so your supplies never get too low. Wood deliveries can be arranged and conveniently stacked in readiness for the winter season ahead for that quintessentially alpine experience of a roaring hearth. Regularly maintaining your boiler is more cost effective over time as it avoids the need for costly emergency call outs. We undertake boiler maintenance on a yearly basis via our team of professionals and ensure your boiler is in top condition, complies with your insurance requirements and offers the most cost effective levels of fuel consumption. The seasons change quickly here so it is important to keep your property warm and secure at all-times. We are on hand to regulate your heating, turning it up prior to cold spells and down when the winter snows depart. It is a simple but effective way to keep your property well looked after and avoid excessive energy costs. Rest assured that your home is safe whatever the weather conditions. We cater for luxury water features with punctual sanitising visits for the opening and closing of spas, pools and hammams. Our expert team of professionals are on hand to ensure they stay in prime working condition, safe for you and your guests to enjoy and running efficiently for many years to come. From mountain meadows to manicured lawns, we can help you to maximise your outdoor space in the mountains. Lawn mowing, planting or simply watering a window box, our teams are available to cover all your gardening requirements. If you own a vehicle or are planning to buy and leave one here, you may want to consider its management. We can help you carry out all the administrative requirements, from helping you register it to organising insurance. We can take care of managing servicing and repairs, and help to keep it running regularly during your times away. We have an extensive network of mechanics who can keep it in tip top condition, and carry out work such as fitting season tyres. If your property is part of a co-ownership there are normally meetings to attend and actions to be undertaken in person. We can help you understand the workings of the co-property, translate all documents and be your voice at regular meetings. It is important to stay up to date on the workings of your co-property and we are here to help you do just that. We watch your post box for you and treat important mail on your behalf should any action be required. We also filter junk mail to prevent your post box overflowing, preventing unwanted attention to a vacant property. If you are facing a situation that you simply do not know how to resolve, or are unable to sort out yourself, let us help you. During our years of operation we have helped many owners to get to the bottom of complex issues; big or small. We relish the challenge of problem solving and as our clients will testify, we don’t give up until it is resolved.